Did somebody say: “pink Predators”? Although you might be tempted to readjust your computer screen or contact us regarding a misprint, let us assure you that you’ve read that right. Adidas Predators. In pink. Out now. 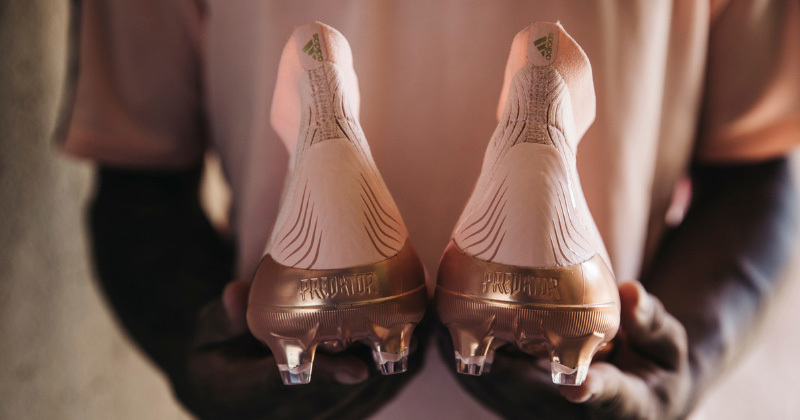 Earlier this week, adidas dropped their second boot collection of the season, giving the Predator, Nemeziz, X and Copa some lovely autumn make-overs. Dripping with soft pastel shades and featuring innovative boot tech, it’s not really surprising to see the new designs absolutely flying off the shelves already. It’s yet another beautiful boot pack but, of course, the Predator has completely stolen the show. Take a deep breath, compose yourself and give them a good hard look. 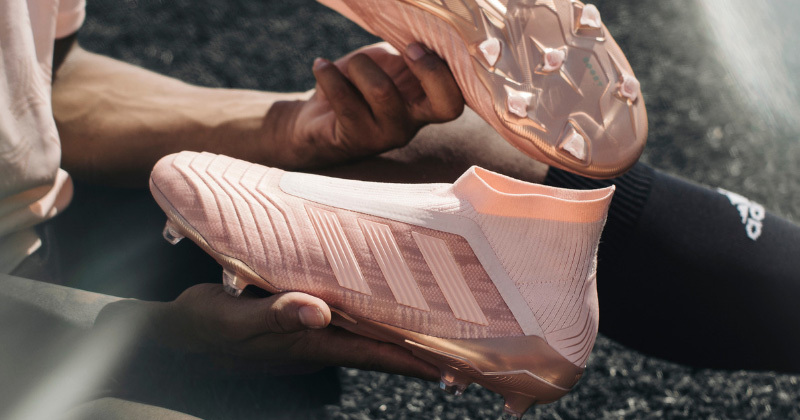 Acting as the perfect complement to the 2018/19 Manchester United away kit, the ‘Spectral Mode’ Predator looks very pretty in pink indeed. Offering beautifully toned-down shades and a metallic gold sock-liner, it’s fair to say you’ve got to be pretty good on the ball to pull these off. The boots feature the same Purecut laceless upper and swanky boot tech as this year’s other colourways, with the standard Sockfit Collar and Controlskin providing unbelievable levels of comfort and control. In fact, we’re pretty sure we can hear Paul Pogba dabbing in happiness already. Oh, and stop telling yourself you don’t like them. We all know you do. Washed in light shades of Ash Silver and still featuring the ground-breaking 360 Agility Bandage, the ‘Spectral Mode’ Nemeziz offers a more subdued colourway. 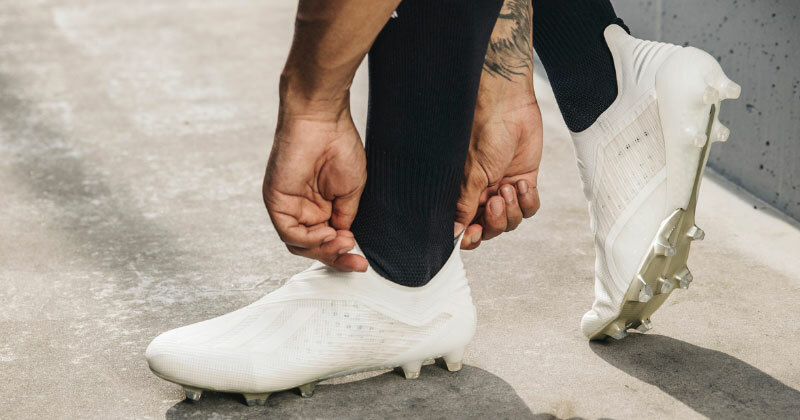 Featuring a subtle tonal pattern alongside those signature adidas stripes, the new Nemeziz will be worn by the likes of Jesse Lingard and Roberto Firmino in the Premier League. As for Lionel Messi, well, he’s got his own light blue colourway to show off, with the standard ‘MESSI’ logo found towards the heel. It doesn’t get much purer than this. Built for the fastest players on the planet, the ‘Spectral Mode’ X looks radiant in its beautiful Off-White colourway. 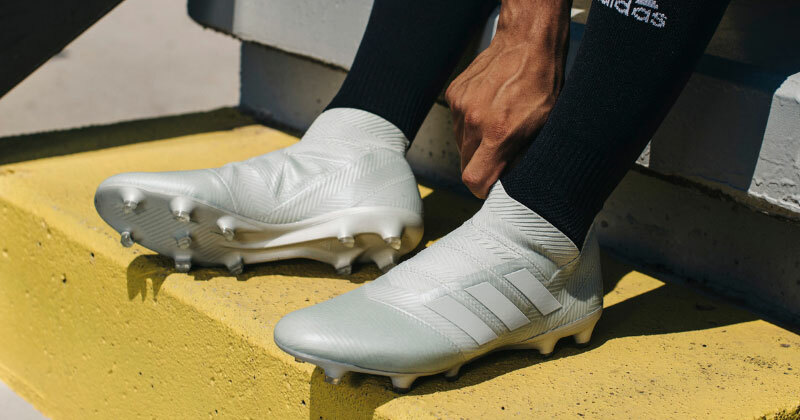 It’s undoubtedly the most simplistic boot of the collection, but a stylish white-out speed boot never hurt anyone, did it? In fact, the more we look at these, the more we appreciate just how classy they really are. Of course, the new design will be worn by Real Madrid stars Gareth Bale and Marcelo, and we can’t wait to see that all-white Los Blancos combo in action! It seems such a shame professional players don’t wear the Copa anymore. But, in all honesty, we just can’t see adidas ever beating the classic black and white colourway of the Copa Mundial. 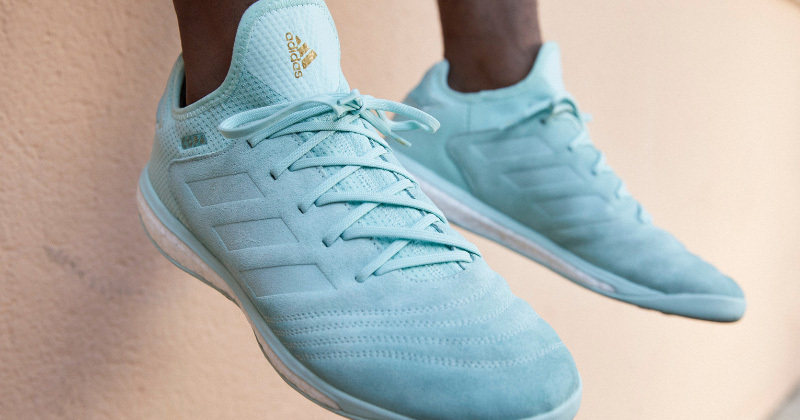 The ‘Spectral Mode’ Copa, however, is one of the standouts of this collection, with the minty green colourway bringing some much-needed freshness to the silo. Gold detailing and slightly darker greens complete the slick look, while you can be rest assured your beloved Copa is just as comfortable as ever. It looks, quite literally, mint. Fancy any of the new ‘Spectral Mode’ football boots? Compare prices at FOOTY.COM to snag the best deals on the internet, and make sure you take to the pitch with a bit of extra change in your pocket. Kicking off the 2018/19 season, these football boots will be worn by some of the Premier League’s biggest stars.